Ghana social media ranking reports recently released a list of 2016’s Most Influential Ghanaians on Social Media. The rankings of these personalities were monitored on Facebook, Twitter, and Instagram throughout 2016, taking note of their following growth, active engagements, post reach, and mentions. Television host and actress, Joselyn Dumas is number 20 on the list. She has acted in a couple of movies like Perfect Picture and Adams Apples which fetched her a nomination for Best Actress at the 2011 Ghana Movie Awards, for her lead role, Jennifer Adams. Her Talk show, @ Home with Joselyn Dumas, which is currently aired across Africa and parts of Europe is one of the interesting shows to watch on TV and her followership on social media is quite impressive. Becky is one of the influential Ghanaians; her great songs and African dress sense stand her out amongst the crowd, as no other female shares the same lane with her in the Ghana music industry. Born on 22 December 1981 as Emmanuel Andrews Samini, Samini was formerly known as Batman Samini. He is a Ghanaian Reggae and Dancehall recording artiste and has six credible studio albums to his name. No wonder he made the most influential Ghanaians list, most of his songs are hits and widely known. Soul music is Efya’s thing, she is both a neo-soul singer and actress. Efya came to limelight after featuring in the first edition of the Stars of the Future talent show. Her vocal strength has won her Best Female Vocal Performance category at the Ghana Music Awards for four consecutive times, since 2011. Next on the list is Kwadwo. He is a left midfielder and an offensive central midfielder for Italian club Juventus and the Ghana national football team, respectively. Kwadwo once got the honour of CAF Most Promising African Player in 2010, Ghana Player of the Year twice and consecutively for 2012 and 2013 and now 16th most influential Ghanaian in 2016. In looks, Shatta Wale is the full-breed version of Nigeria’s Mr Ezi, as most of their fans say. He is a producer and reggae-dancehall artiste, who has also featured in a movie, titled Never Say Never also featuring Charles Kofi Bucknor, Majid Michel and more. Pretty faced, hourglass-shaped actress and movie producer, Juliet Ibrahim is also a humanitarian and is of three descents – Lebanon, Liberia, and Ghana. Her popularity was higher in the early years of her acting career, however, she still makes massive social media impressions with the movies she produces, thus her mention on this list. Yvonne Okoro is likened to the Genevieve Nnaji of the Nollywood movie industry. Her beauty, poise, and eloquence dragged massive attention to her and of course, translates greatly to why she made this list. Yvonne is a proud 4-time recipient of Africa Magic Viewers’ Choice Award. Michael Kojo Essien is a Ghanaian footballer who last played for Panathinaikos and the Ghana national team. He has lots of fans on social media; Instagram, and Twitter and he keeps them engaged with interesting photos of his life and inspiring words. Herty Borngreat made it into this list of most Influential Ghanaians due to her impact as a gospel singer. She is happily married with kids and has songs and videos making waves in her social media sphere in Ghana. Kofi Annan once served as the seventh Secretary-General of the United Nations from 1997 to 2006 and still impacts his world via his social media handles. Stonebwoy is a Ghanaian Afropop, dancehall and reggae artiste. He is also the founder of Burniton Music Group. His fans voted him as number 9 most influential person in Ghana. The immediate former President of Ghana, John Dramani Mahama, did quite a good job during his administration, spanning from 24 July 2012 to 7 January 2017 and Ghanaians still love him enough to vote him as the number 8th most influential person in the country. Also known as SwagOn-Papa, Funny Face is a Ghanaian comedian who is popular for his role in TV3 Ghana’s sitcom, Chorkor Trotro. His jokes though sounds funnier than his face looks and Ghanaians love him. Taking the number 6th spot is Nana Addo Dankwa Akufo-Addo, the current President of Ghana. Surely, this list of most influential Ghanaians would be incomplete without him. Although he just assumed office about a month ago, his administration seems to have a lot to offer. 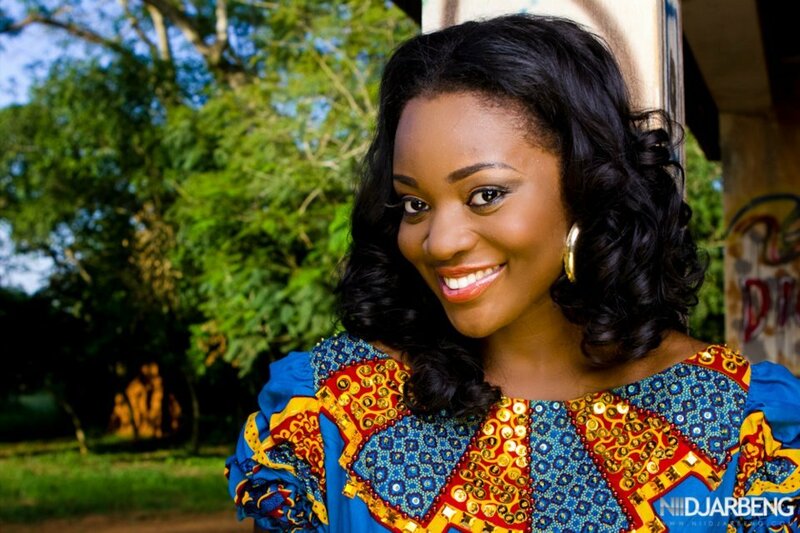 Jackie Appiah happens to be not just one of the most influential Ghanaians, but one of the shakers and movers of the Gollywood industry. She has featured in numerous movies and has received several awards and nominations for her incredible acting skills. Surely, Jackie deserves this spot. In 2013, Nigerian rapper Lynxxx, ranked Sarkodie 1st on his list of the “Top 10 Ghanaian Rappers of All Time”. In 2015, AfricaRanking.com ranked him 3rd on its list of the “Top 10 African Rappers of the Year,” and 2016 ended with him charting as number 4 most influential Ghanaian. German-born Ghanaian professional footballer, Kevin-Prince, who plays for UD Las Palmas as a midfielder is Ghana’s 3rd most influential person on social media. 32-year-old Yvonne Nelson is the most influential female in Ghana. She recorded the highest number of new followers of over 3.7 million on Social Media in 2016. The actress, model, film producer, and businesswoman, is trending on Instagram for all the right reasons; from her new trimmed look to her exquisite dress sense and pretty photos, her followers always have what to look forward to each day on her page. John Dumelo just clocked 33 years this February [3rd] and, topping this list as the most influential person in Ghana seems like the best birthday gift for the actor and lover boy. John Dumelo is also the most followed and highly interactive Ghanaian on social media with combined followers of over 6.5 million on Facebook, Twitter, and Instagram, beating Yvonne Nelson, who topped the list in 2015. John and Yvonne Nelson were once rumoured to be in a romantic affair. They could make a power couple; Ghana’s version of Beyonce and Jay Z, if only they could get back together. Is any of your favourite Ghanaian personality missing on the above list? Hit us up with your comments.